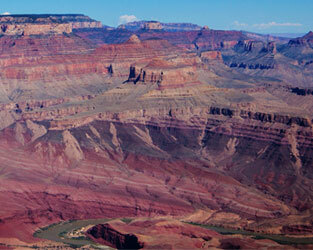 Don't just go To the Grand Canyon. Enjoy the ride. 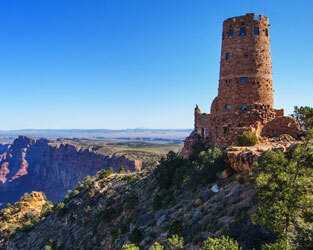 The Grand Canyon Railway® Tour runs between Williams, Arizona and the historic train depot in the Grand Canyon's South Rim. 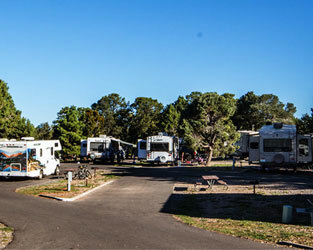 This charming, old- west style adventure gives you the luxury of appreciating the scenery, from the high desert plains to the pinion forests, as well as breathtaking views of the San Francisco Peaks, the highest point in Arizona. Whether you're riding first class or coach, there are several types of meticulously restored railway train cars to choose from. 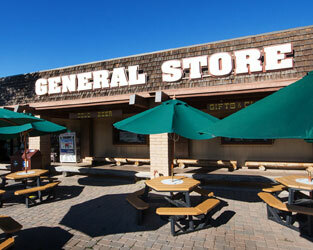 The Grand Canyon train depot is approximately one mile (a 19-minute walk) from Yavapai's main lodge. 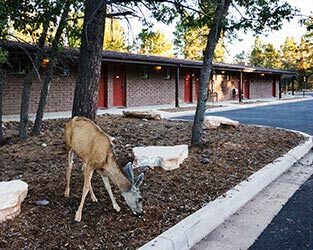 You can either take a free shuttle bus to Yavapai Lodge® or walk on the Grand Canyon Greenway Trail system.